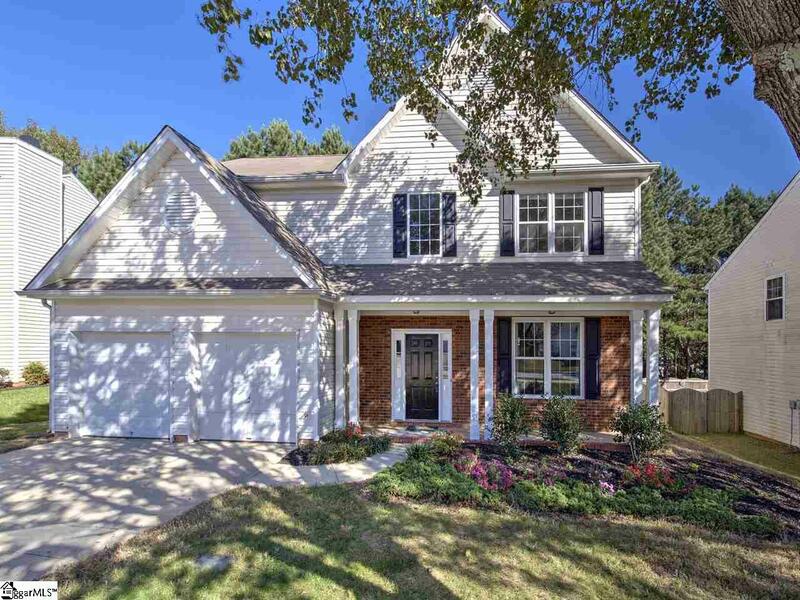 Beautiful home with front porch and private, wooded back yard zoned for Mauldin Elementary, Middle and High School located in fabulous Tanner Mill, which is conveniently located off of Tanner Road near Woodruff Road shopping and convenient access to I385. There is a walking path in neighborhood which children can utilize to walk to school = no carline! When you enter the home, you are greeted by a soaring entryway which leads to the spacious tiled floor kitchen perfect for entertaining friends and family. 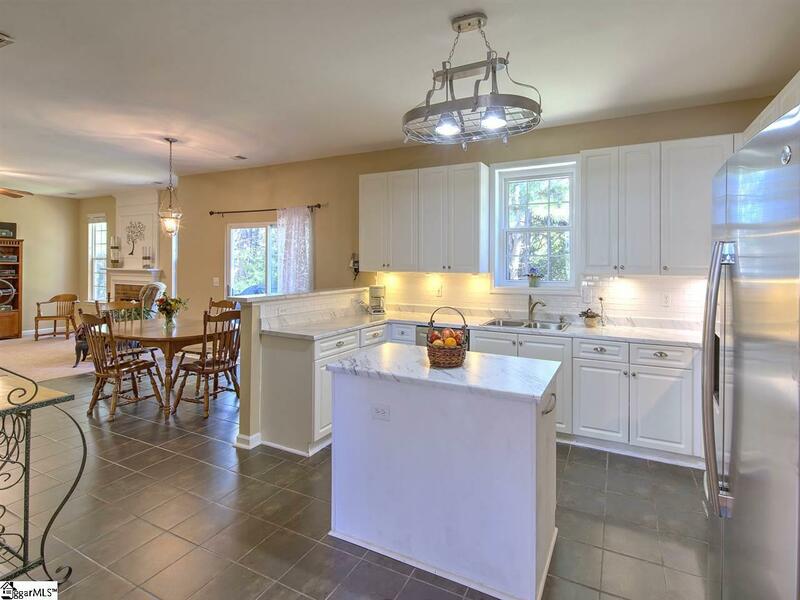 The new laminate countertops and white tile backsplash are wonderful updates in this space. There is ample storage and you will love the island to prepare meals. The raised snack bar overlooks into the great room, so the chef in the home will always be a part of the festivities while preparing meals on the stainless steel appliances. Friends and family will enjoy spending time in the spacious great room in front of the wood fireplace with gas starter. 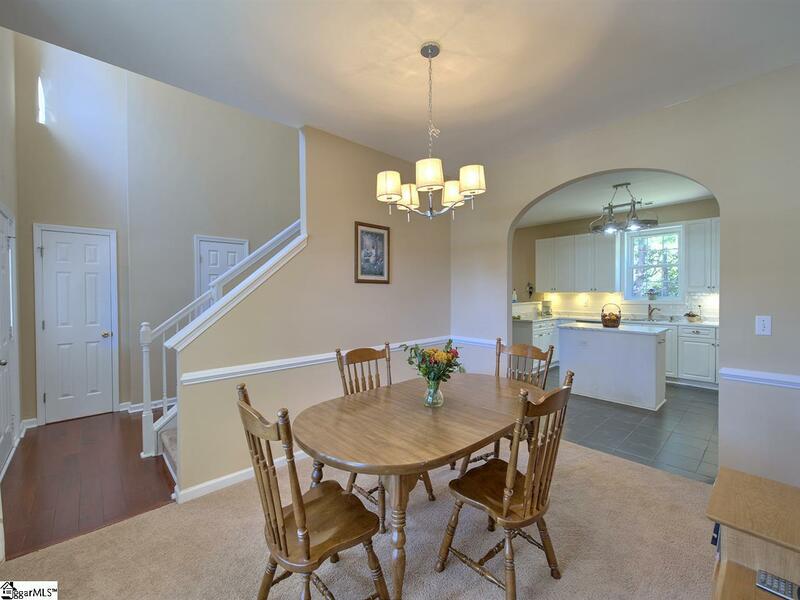 The kitchen dining area is roomy for a large table for many gatherings. Sliding glass doors conveniently lead out to a refinished deck that overlooks the low maintenance backyard and serene view of trees. 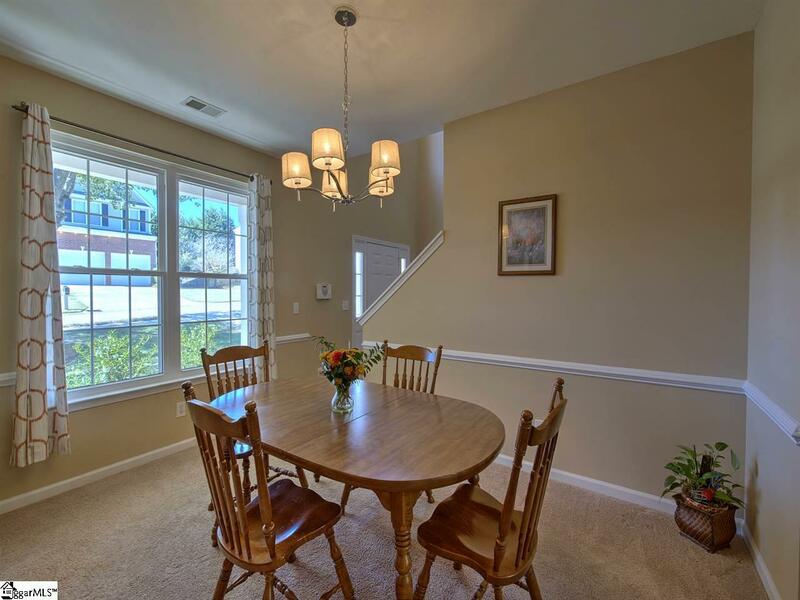 A dining room is convenient to the kitchen and you will make many memories in the space. Upstairs is a large master bedroom which has an extra-large walk in closet for plenty of storage. You will love spending time in the spa like master bathroom with separate garden tub. Three additional bedrooms, full bathroom and large laundry room complete the upstairs. Additional updates make this home a great value - - hot water heater, 2018, four windows replaced, new blinds on every window, HVAC upstairs replaced in 2016. Tanner Mill neighborhood amenities include a pool, playground and common areas with a creek. Listing provided courtesy of Kirsten Zinkann of Keller Williams Greenville Cen.